Country Charmer in picturesque rural setting. 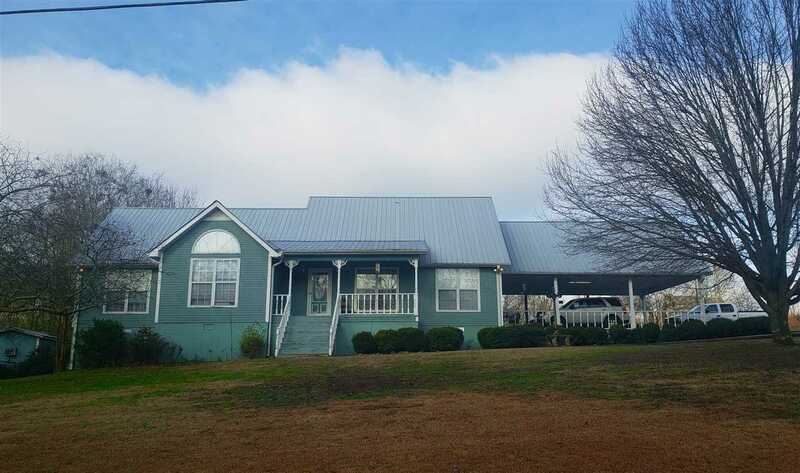 3BR/2BA located outside city limits. Convenient to Albertville, Boaz or Guntersville. Living room features vaulted ceiling and gas log fireplace. Eat in kitchen includes Refrigerator, Range, Dishwasher and Microwave. Breakfast nook, Formal dining room. Master Bedroom features vaulted/trey ceiling. In-suite bath with double vanities, jetted tub and seperate shower. Oversized 2 Car carport. Above ground swimming pool. Ample storage in attic. All on 1.9 Acres.